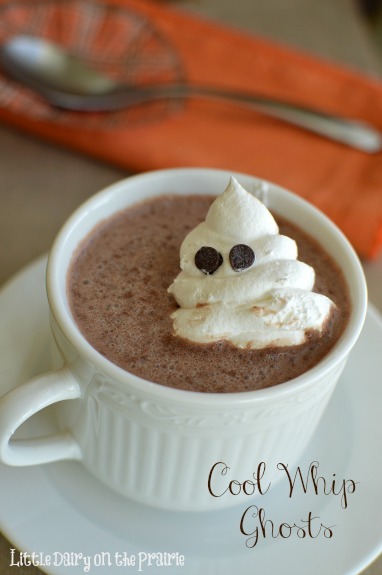 Simple, make ahead Cool Whip Ghosts get kids giddy about Halloween! 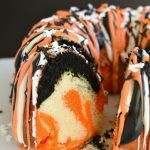 Stick them in the freezer and add them to all your Halloween treats all season long! The other day I saw some Cool Whip Ghosts in one of many magazines I subscribe to. Maybe Good Housekeeping? I thought they were so cute and knew they would be easy to make. I whipped up a cookie sheet full of these little Caspers and stuck them in the freezer. I have been using them ever since! 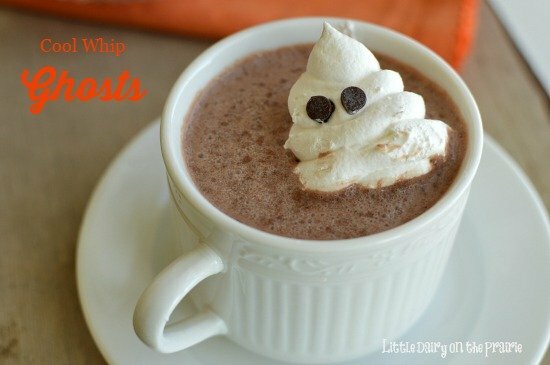 The kids fought over who got the biggest ghost on their hot cocoa! 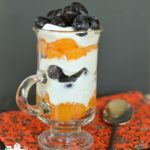 Once you have a sheet full of them in the freezer you can find lots of things to add them to. Unfortunately my boys saw them in the freezer and decided to eat some of them by themselves. Dang boys anyway! All you do is put some Cool Whip in a sandwich bag, snip one corner off and pipe them on the parchment lined cookie sheet! Stick them in the freezer and that’s it. 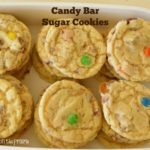 These are so easy to make I threw them together one night. I have to work in the night or my kids would eat all the mini chocolate chips. We don’t need that. 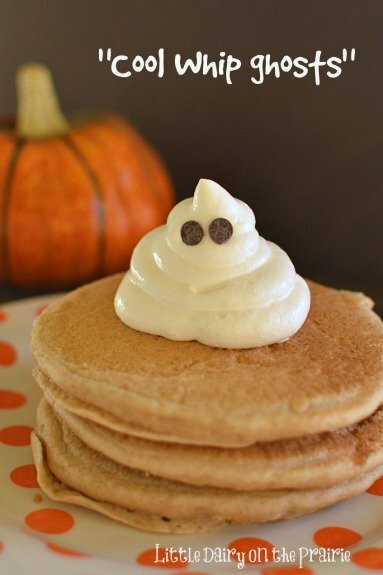 In the magazine they used the Cool Whip Ghosts on top of a stack of pumpkin pancakes. Sorry, no pumpkin pancakes today. Even my non pancake eating child wanted to eat pancakes with Cool Whip Ghosts on them! Who wouldn’t? 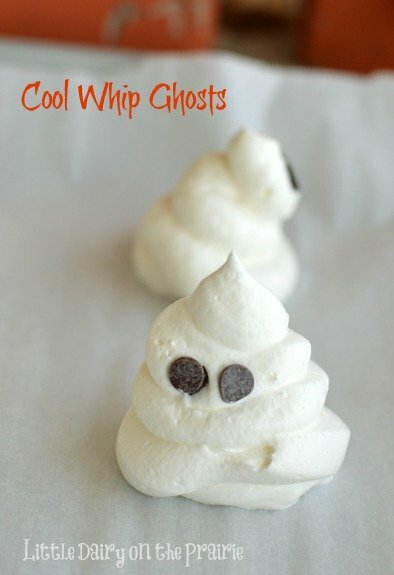 Make a batch of Cool Whip Ghosts. Top a steaming mug of hot cocoa with them and watch Casper disappear! It’s kinda fun! Add cool whip to a press and seal sandwich bag. Snip about ½ inch diagonal of one corner off. 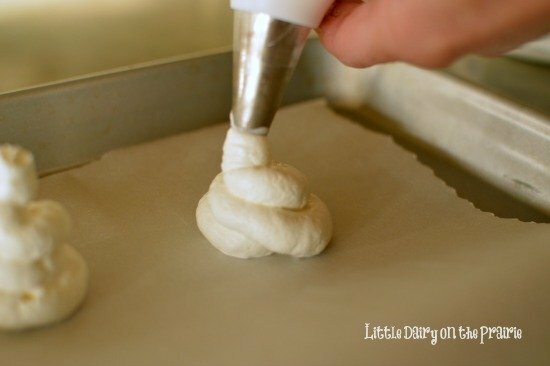 Squeeze the bag and pipe the Cool Whip onto the lined cookie sheet. 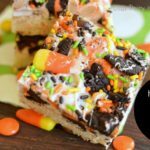 Remove with a spatula and set on any Halloween treat for a decoration.